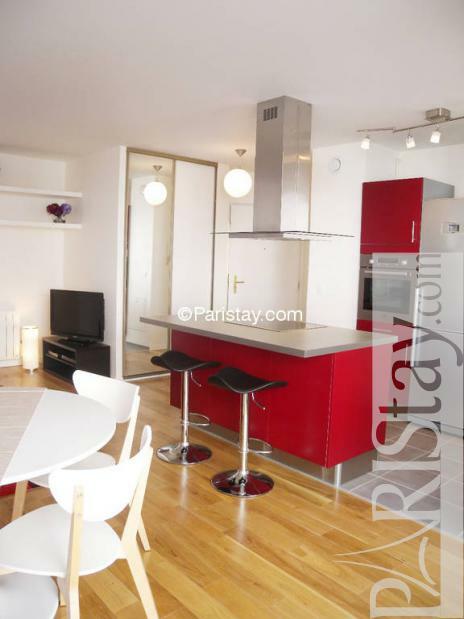 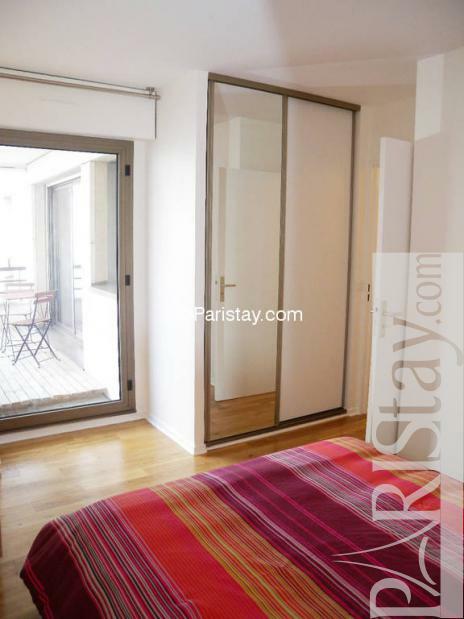 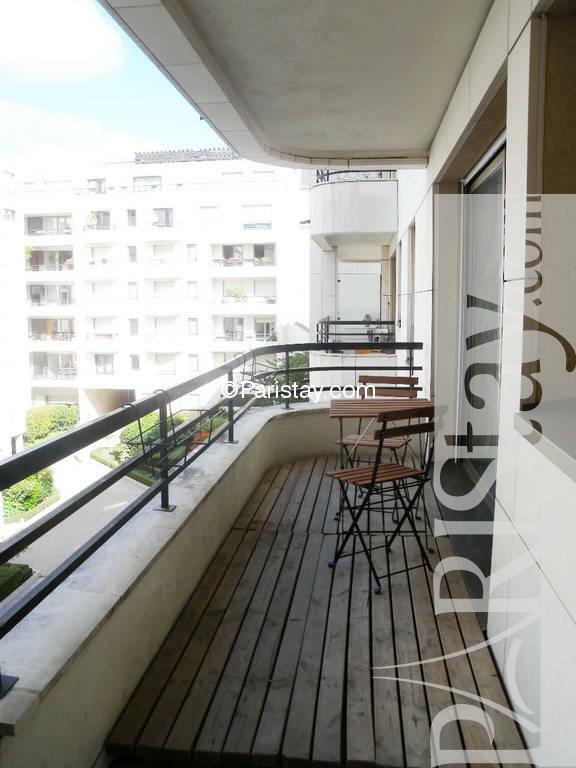 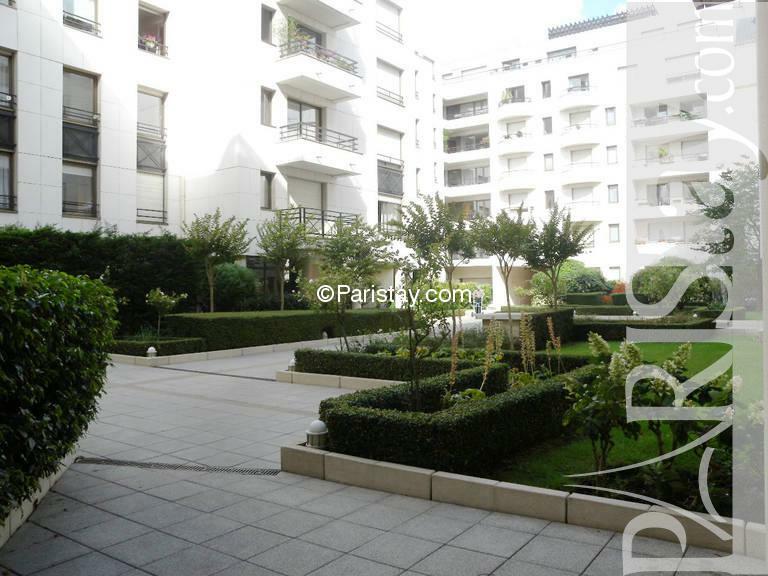 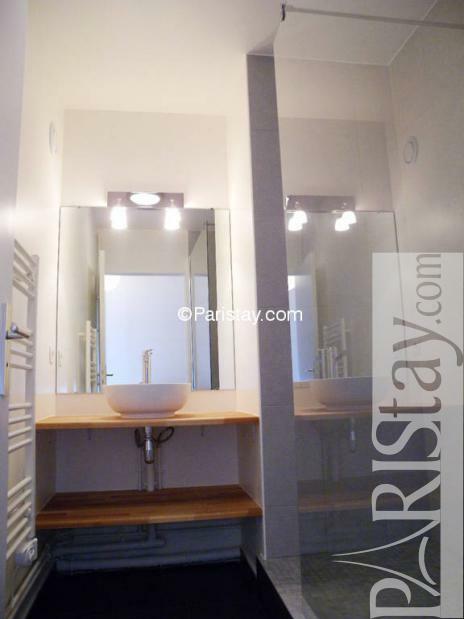 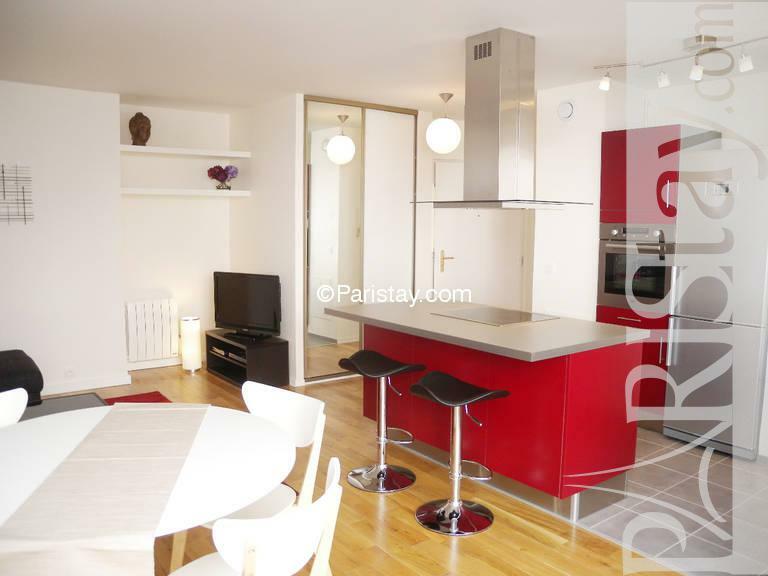 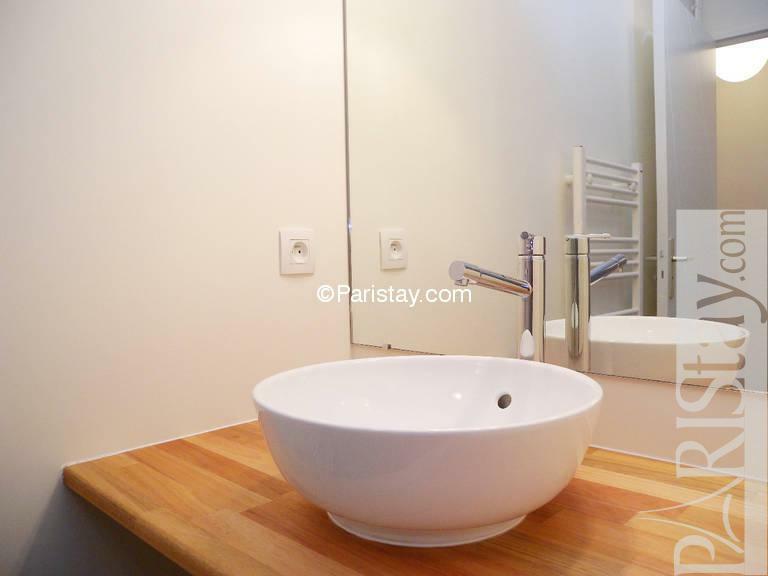 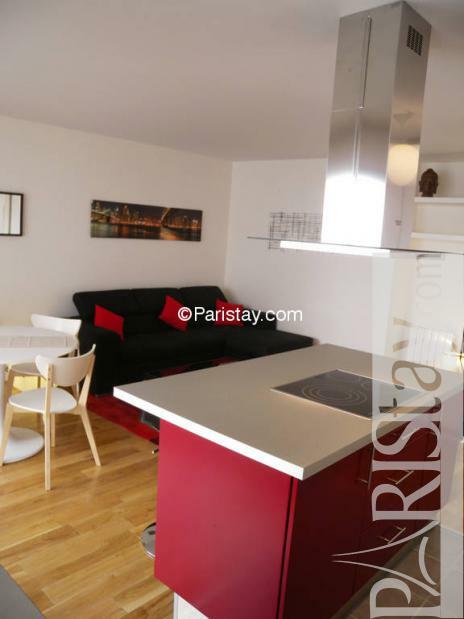 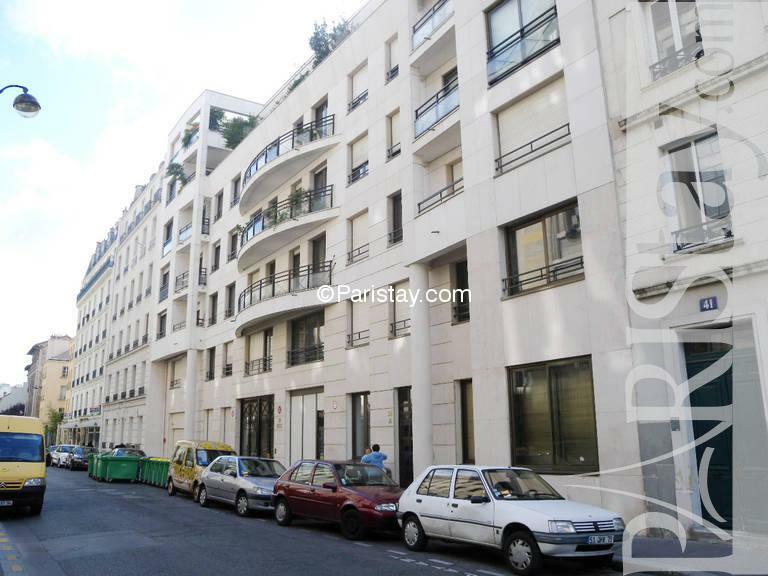 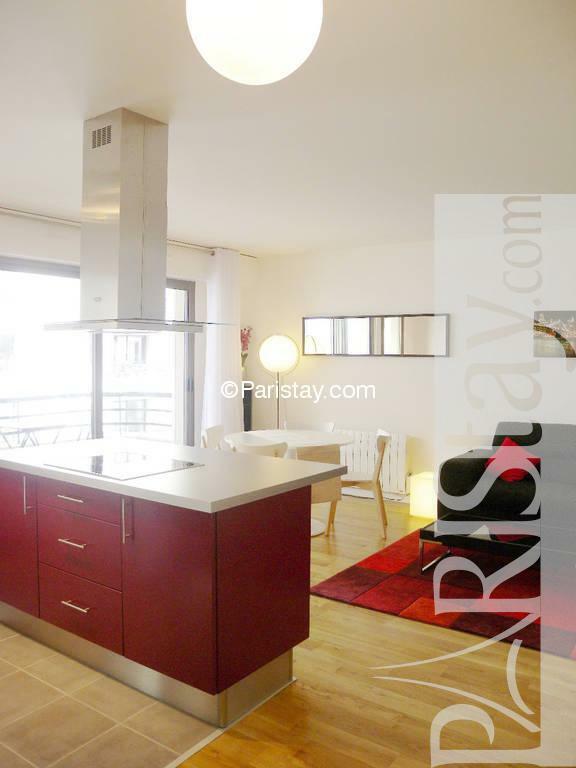 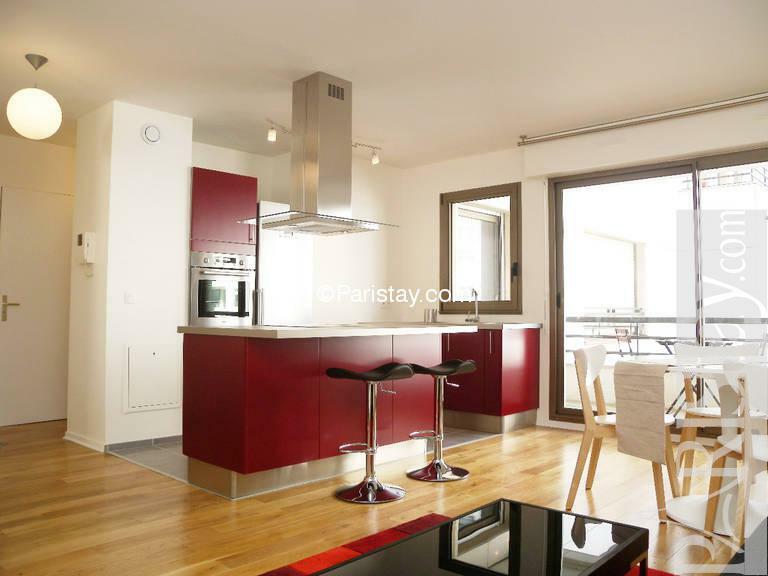 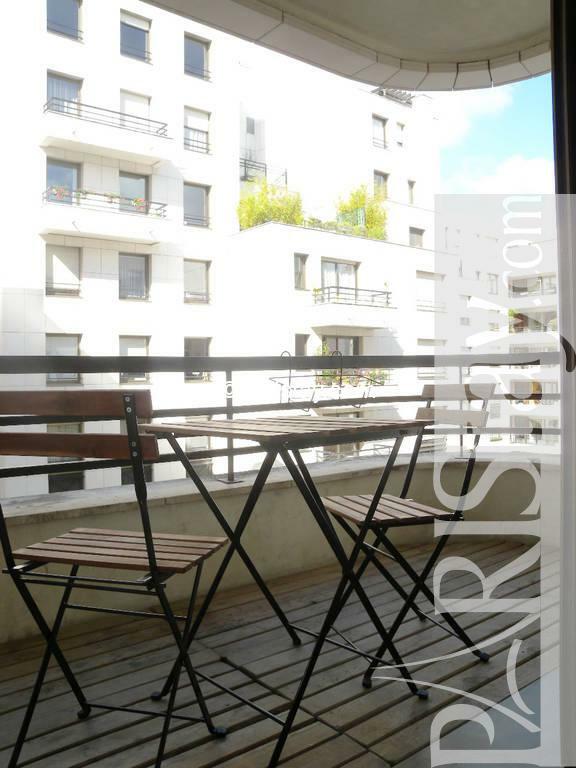 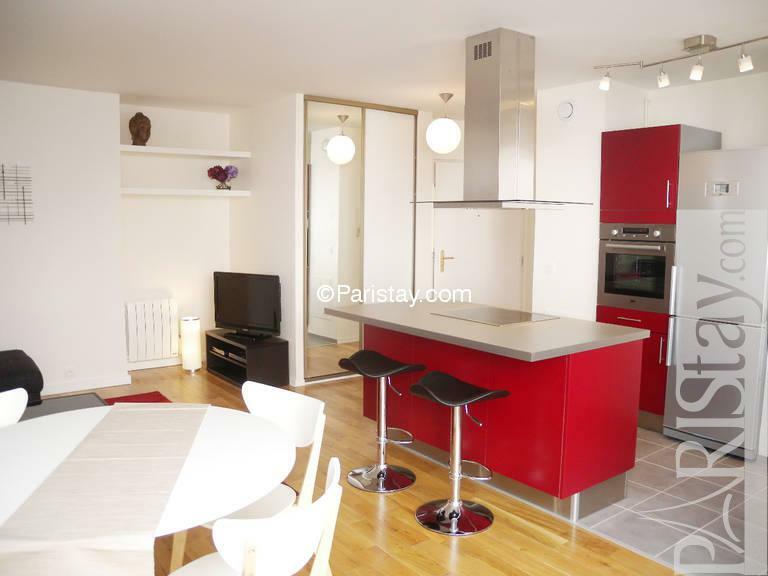 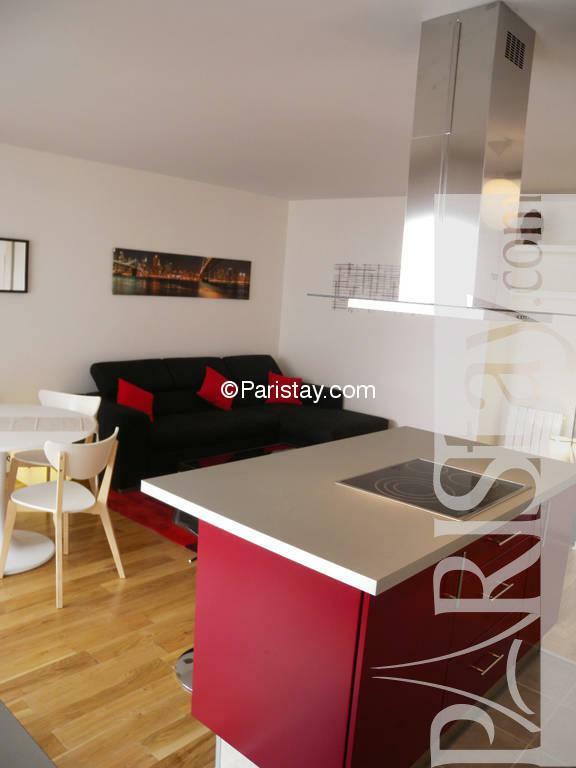 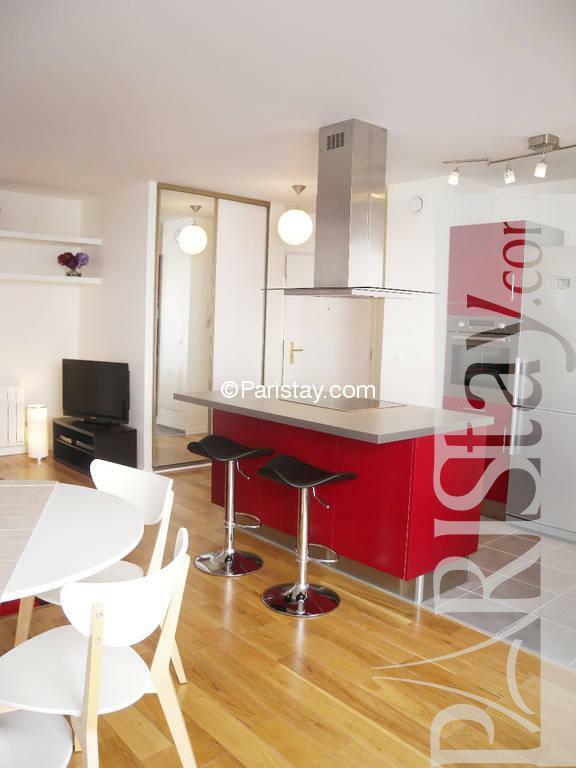 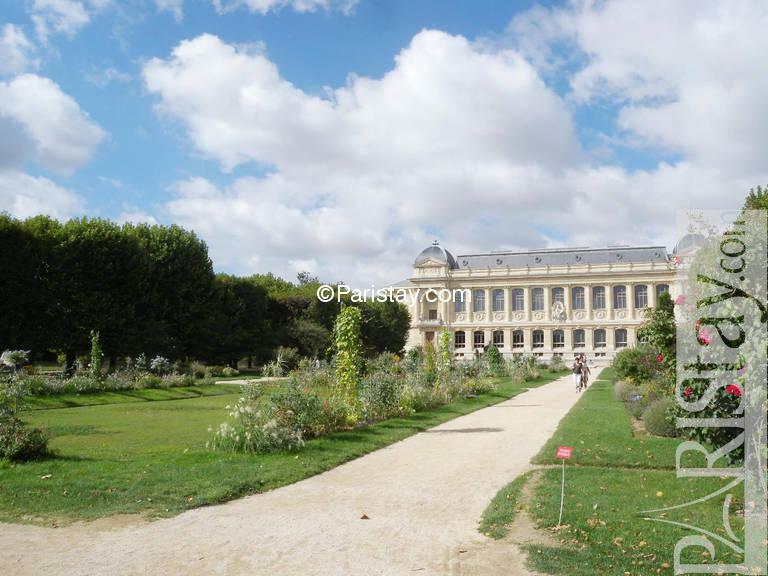 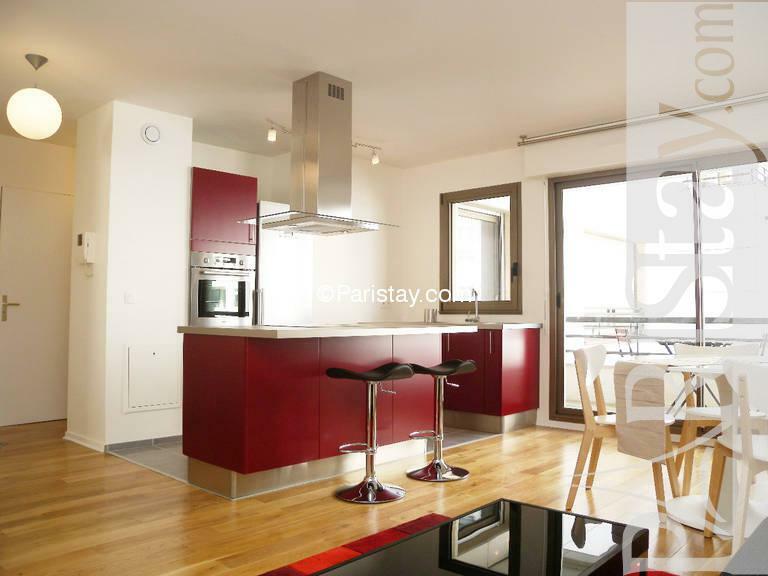 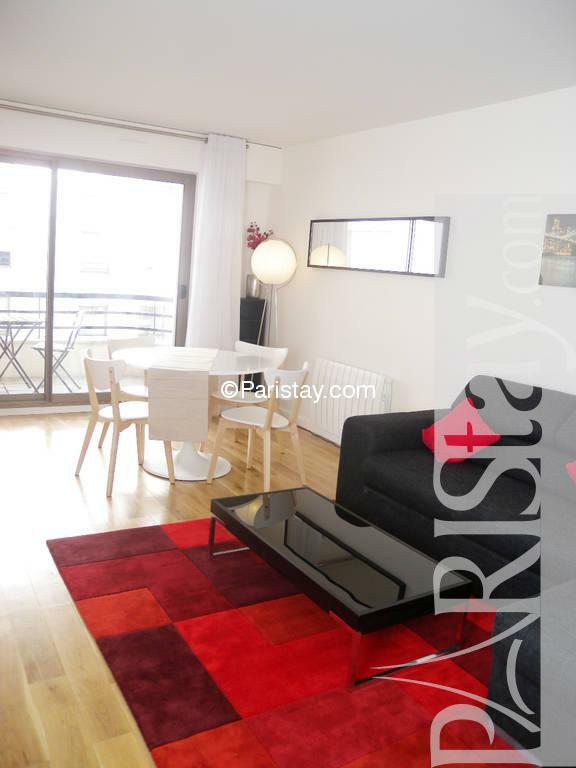 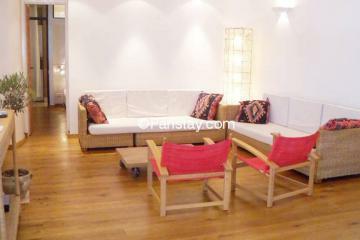 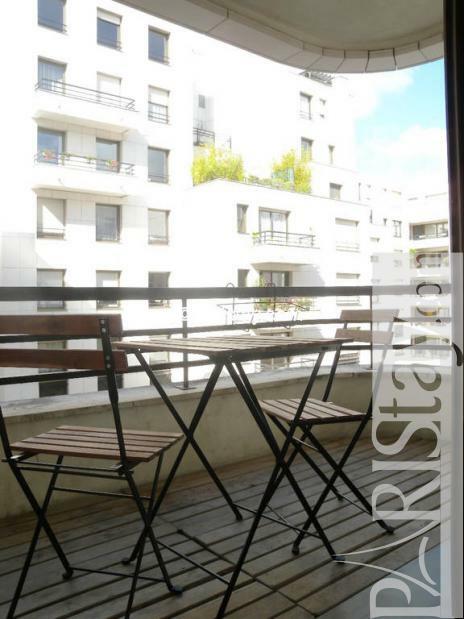 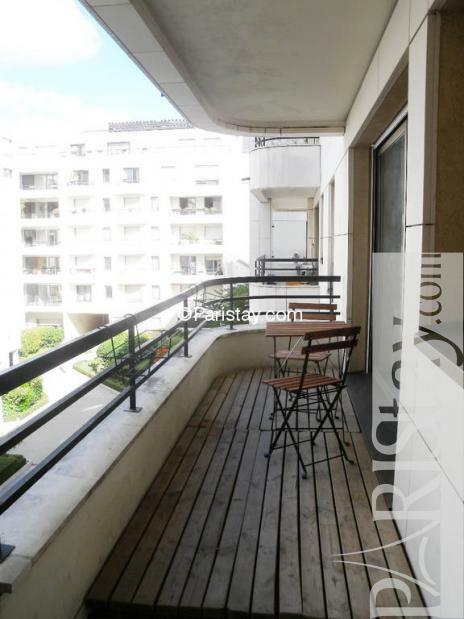 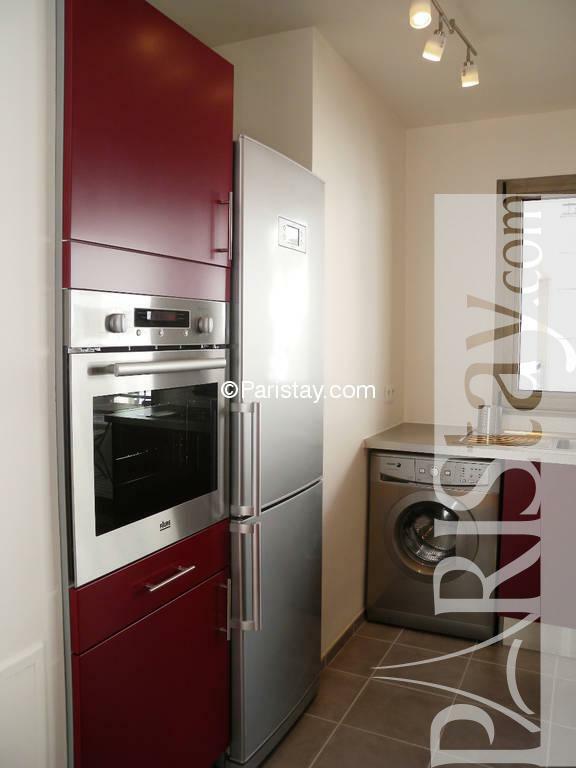 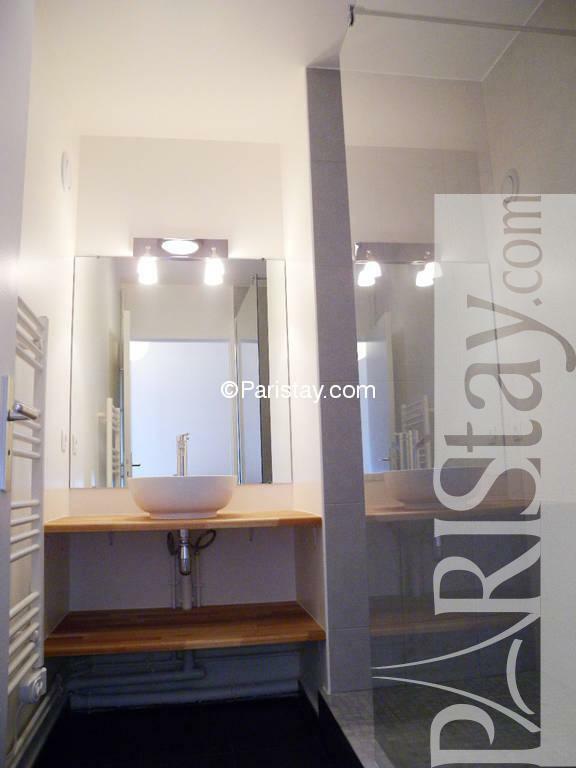 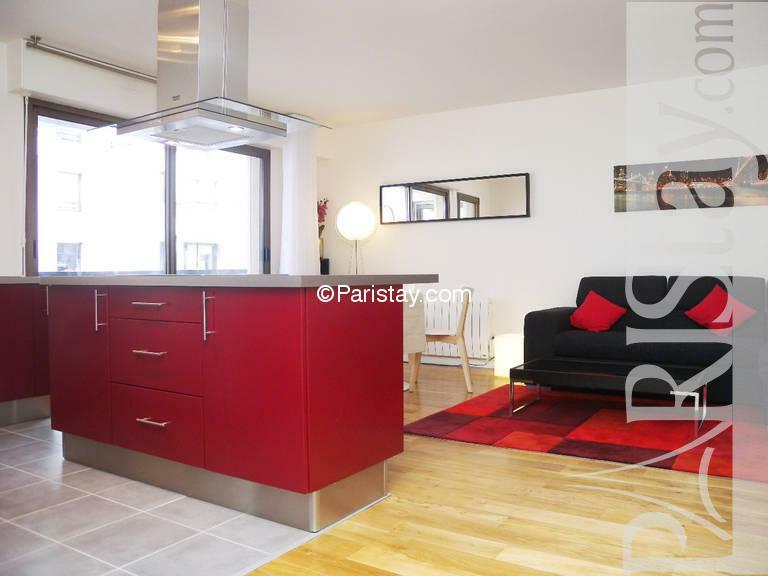 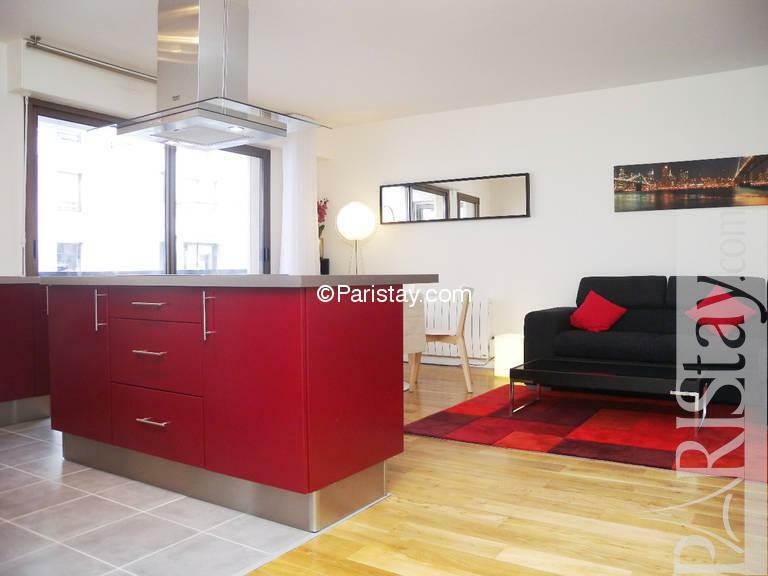 Modern 1 bed Paris apartment for rent, nicely located near the beautiful Jardin des Plantes in the chic 5th arrondissement. 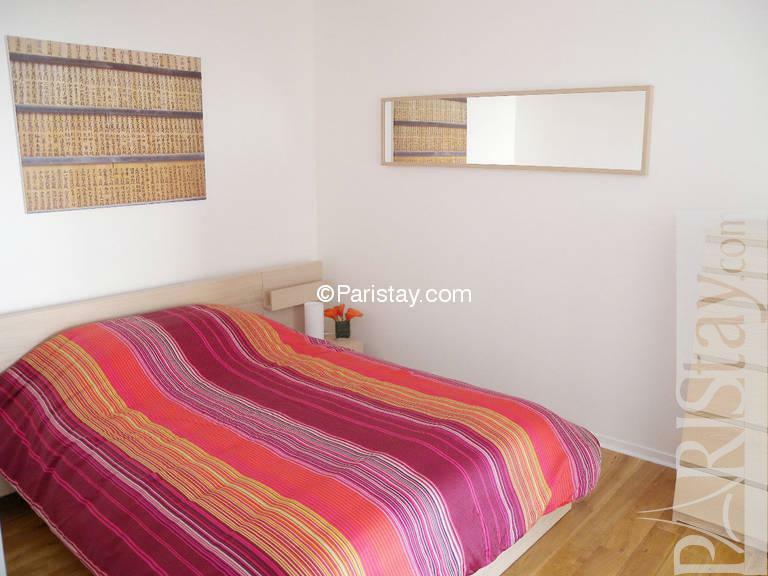 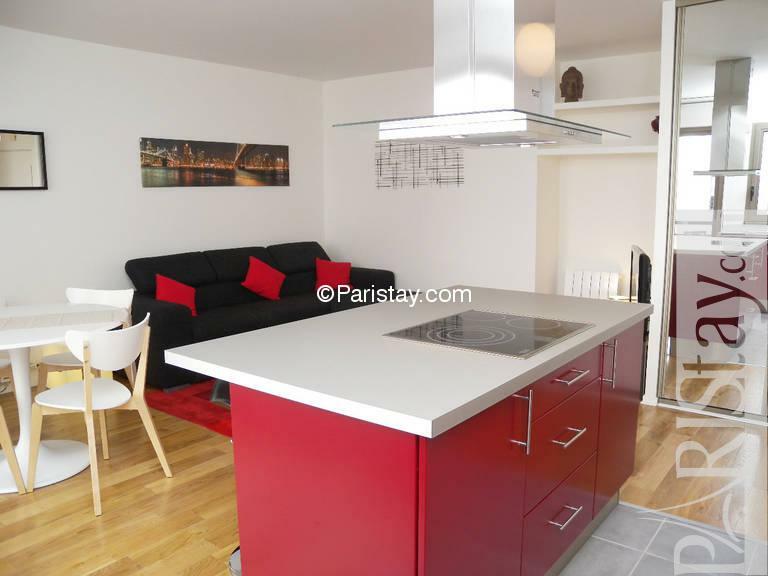 The flat is also close to Austerlitz railway station (100 meters from the apartment), the famous and typical rue Mouffetard in the Latin Quarter (300 meters), and the Pantheon and universities like the Sorbonne. 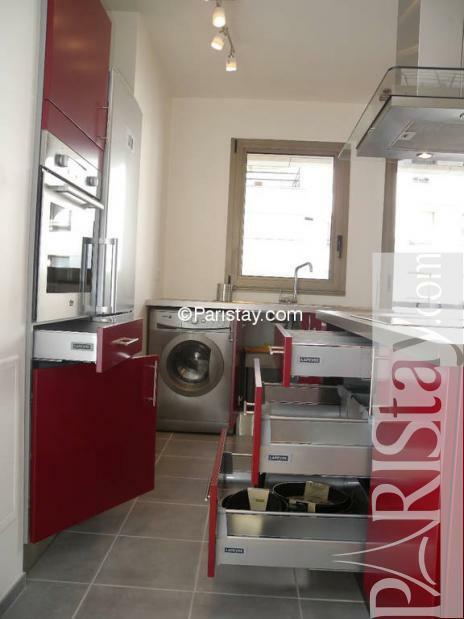 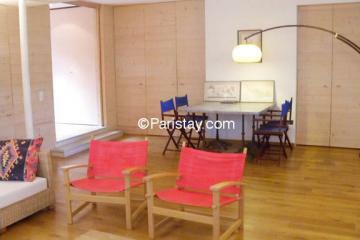 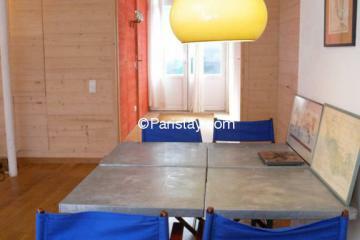 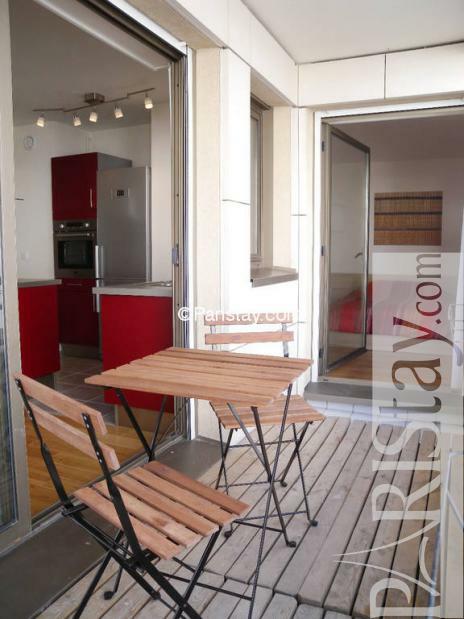 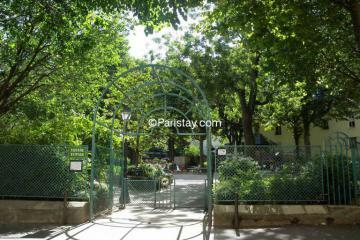 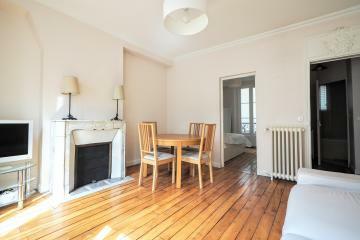 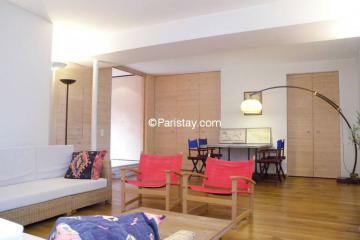 Perfect for long term rental in Paris center. 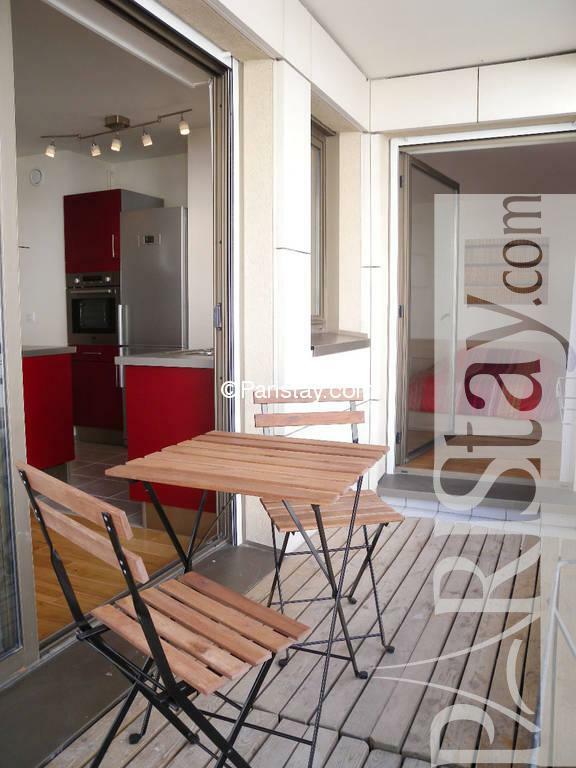 It is fully equipped with internet access, phone*, cable TV with 32" screen, DVD player, oven, washing machine, bed linens, blankets, pillows, towels and kitchen utensils. The apartment has also a 7m² balcony with a peaceful view over a private court, where you can enjoy a quiet breakfast or dinner. 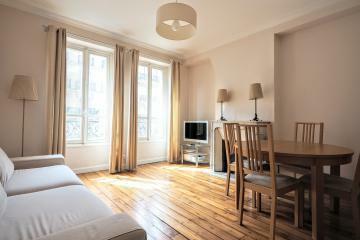 The apartment is located in a recent building, offering very secure features (3 security codes, intercom and concierge). 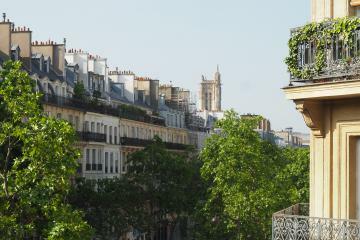 RER : line C. Metro: lines 5, 7 & 10. 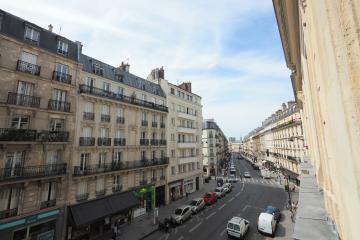 Bus : lines 24, 57, 61, 63, 67, 89, 91. 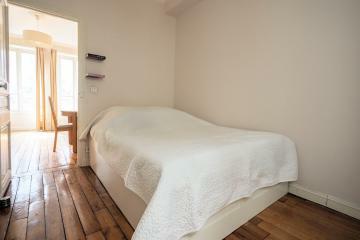 * includes free calls to fix numbers to 97 destinations (E.U., U.S.A., Canada, Japan, Russia, Brazil, India...). 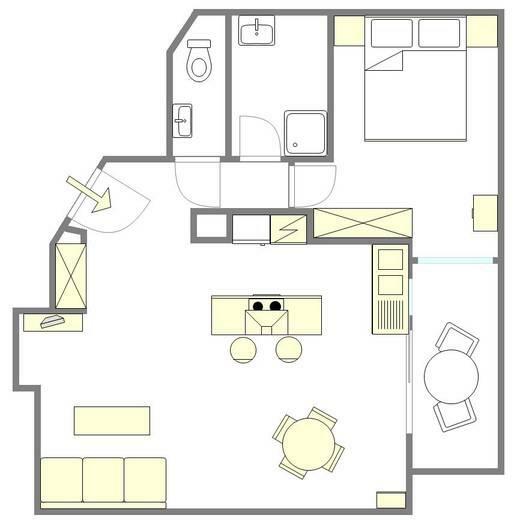 Mobiles also included for U.S.A. and Canada. 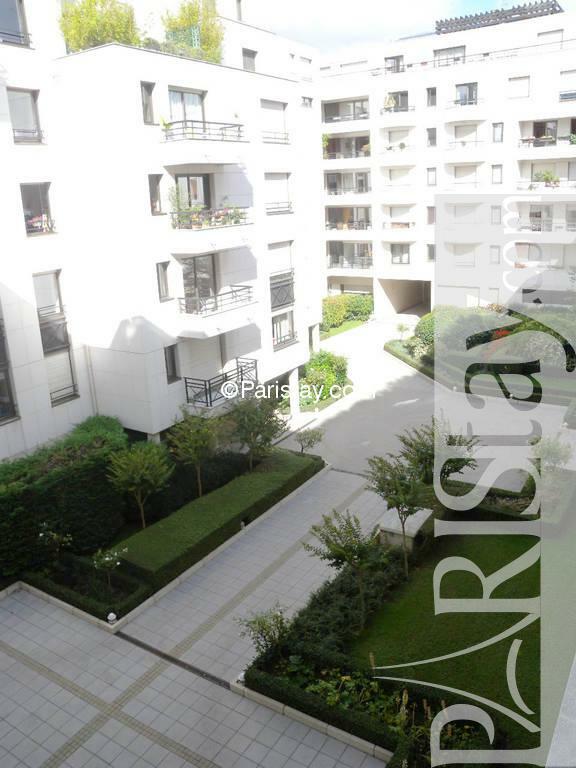 1990's Building, 3 th floor, with Lift, 1 bedroom Appartement, furnished, Approx: 48m² / 516 Sq.Ft.